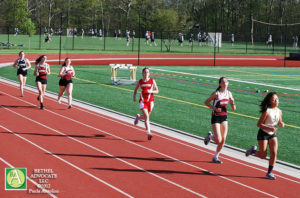 Scroll down ti view numerous VIDEOS and PHOTOS and to view meet results. 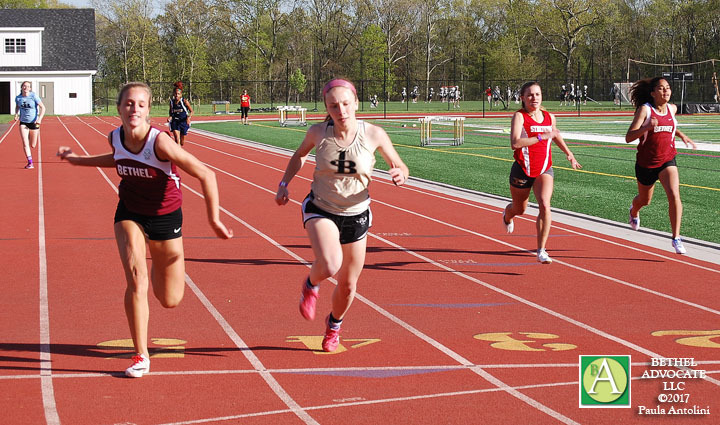 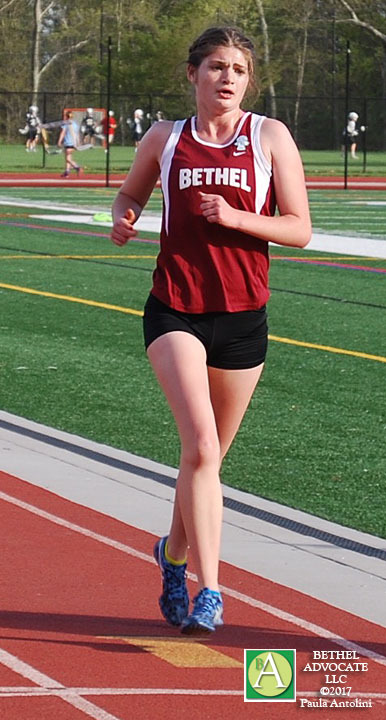 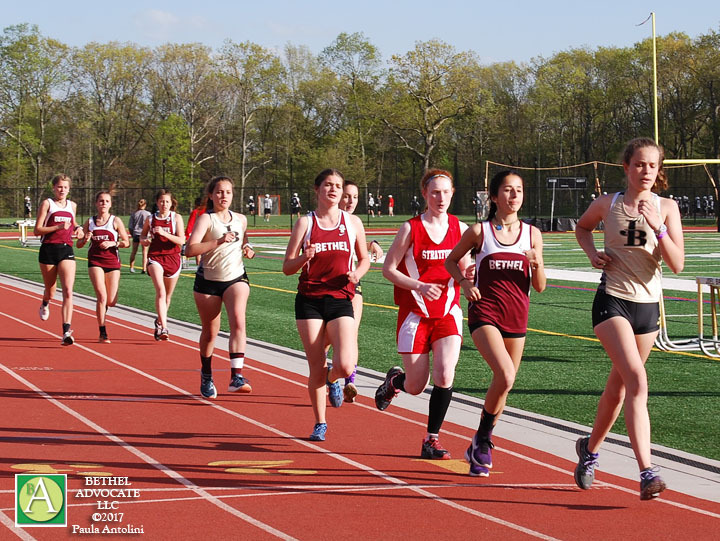 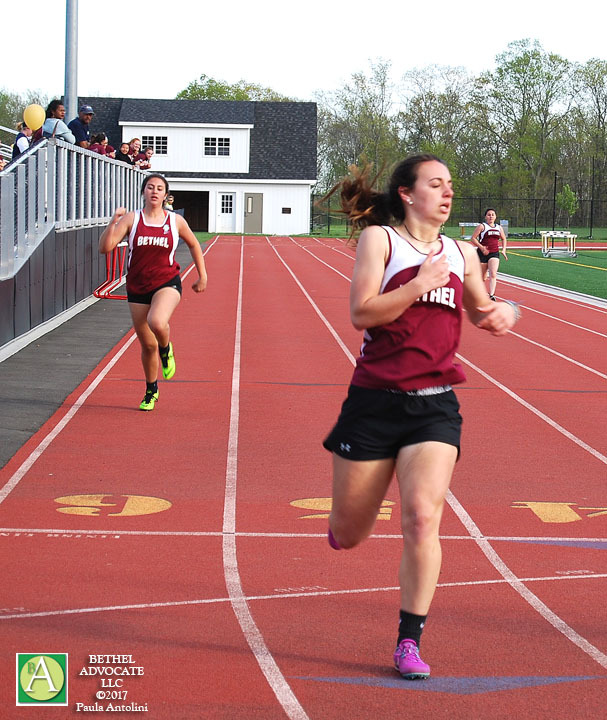 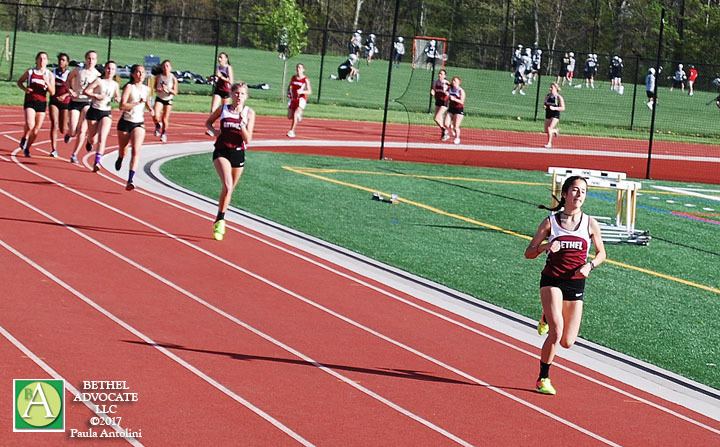 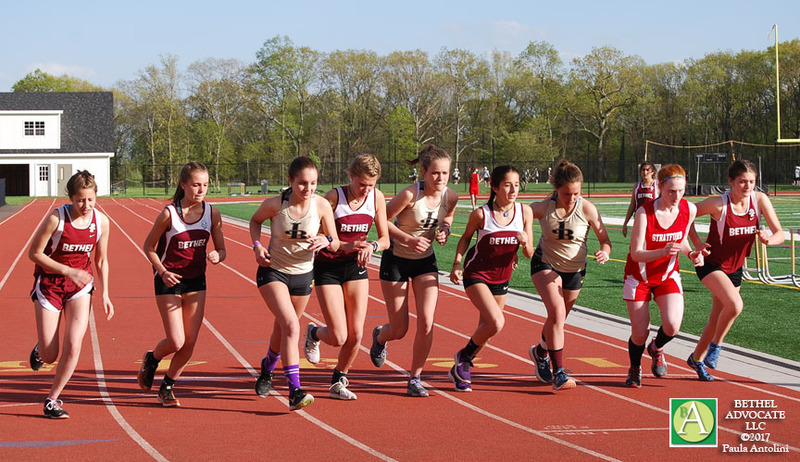 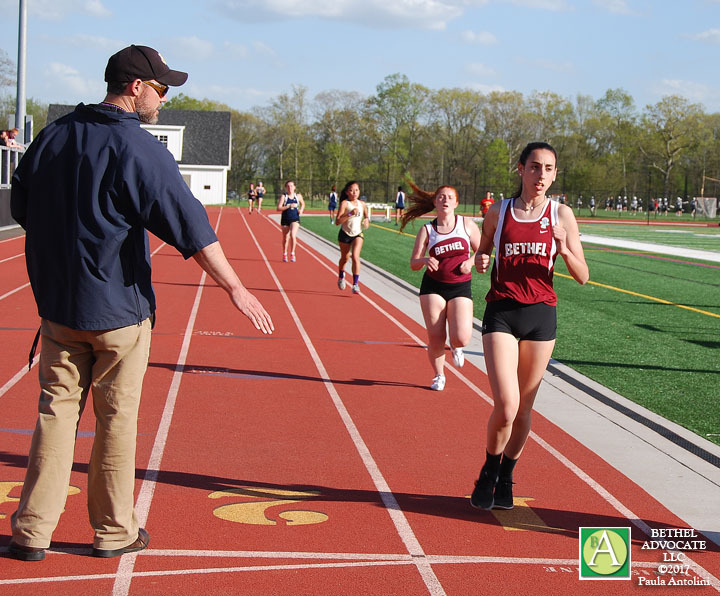 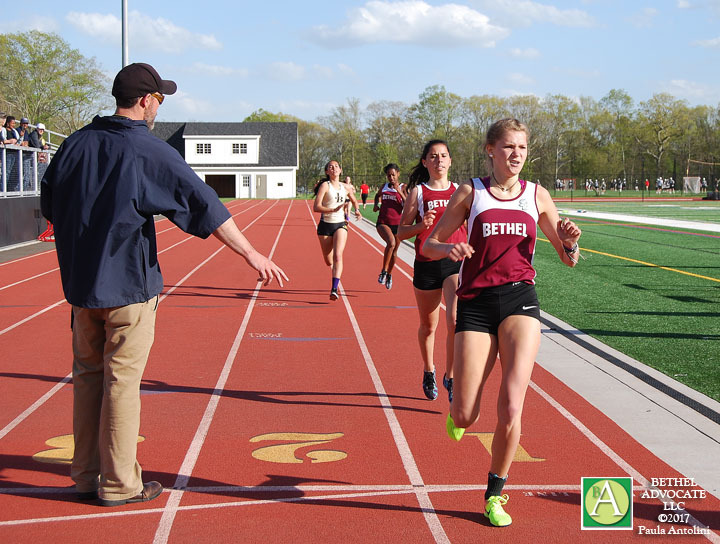 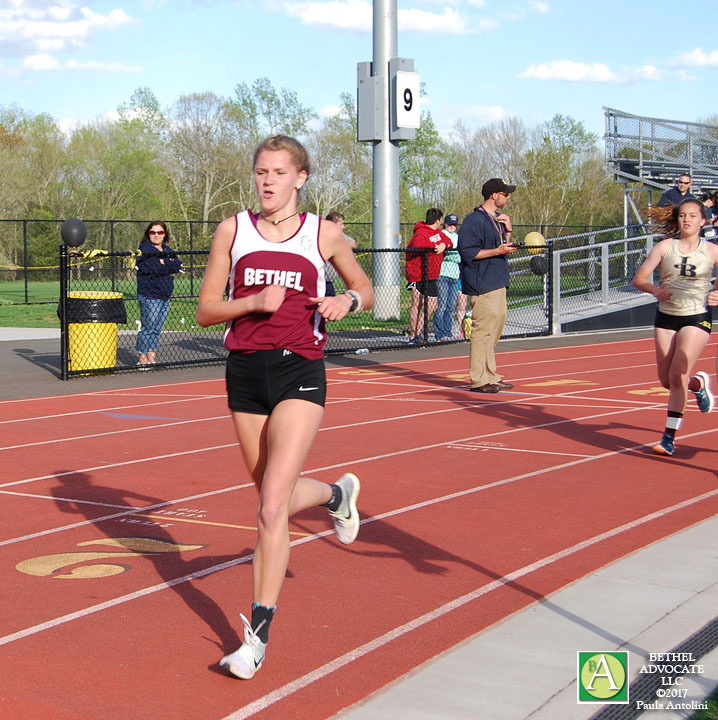 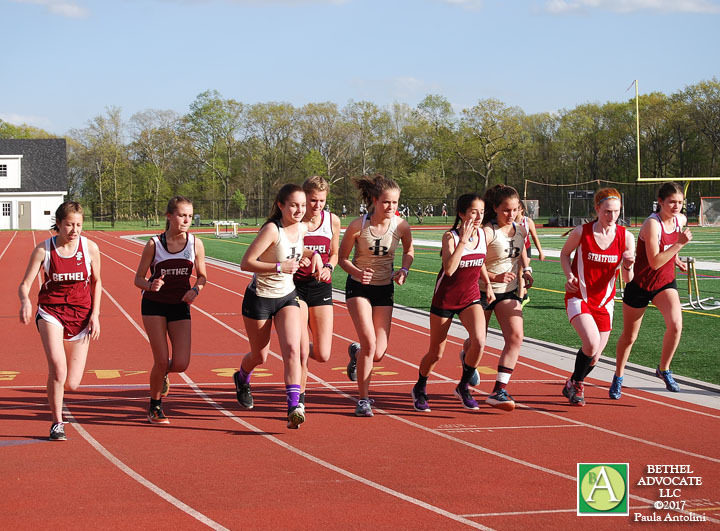 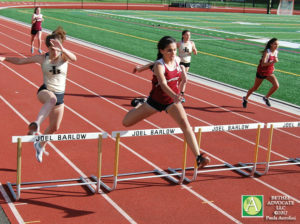 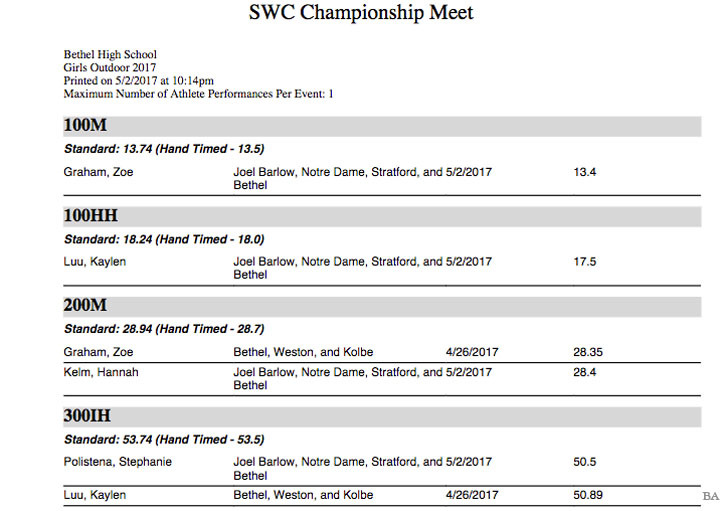 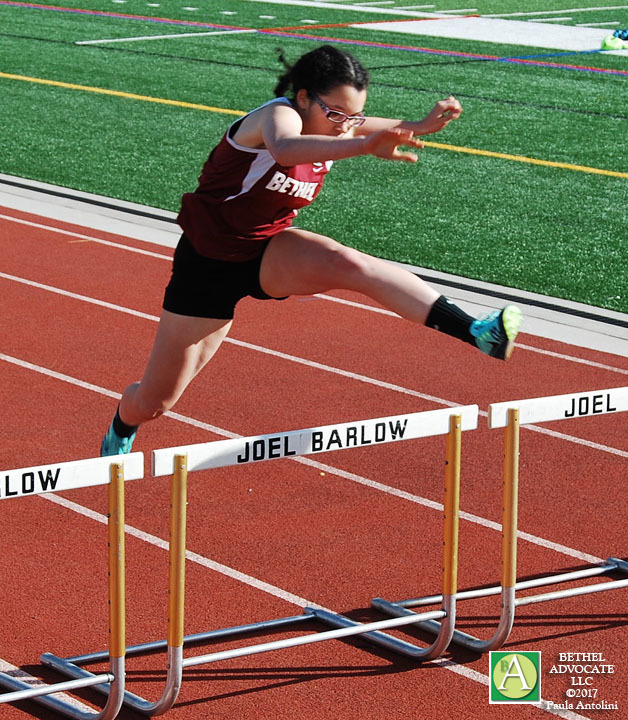 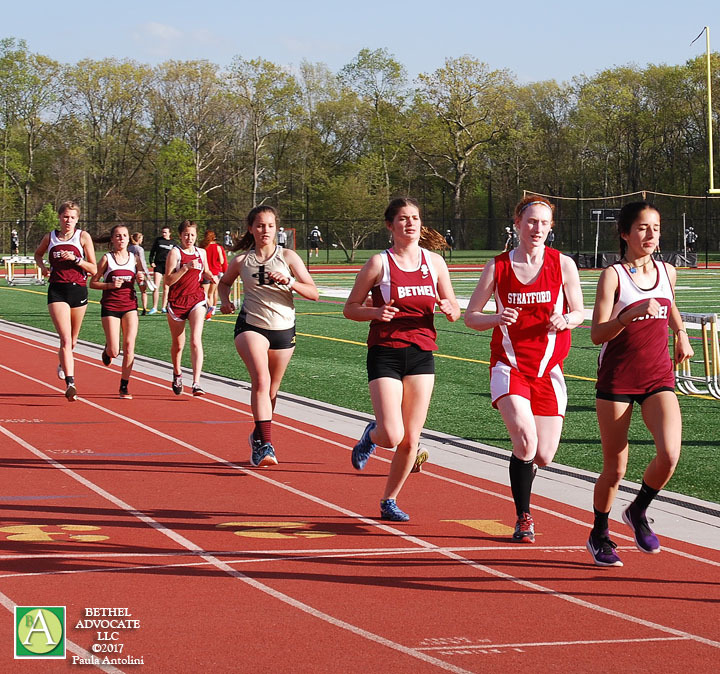 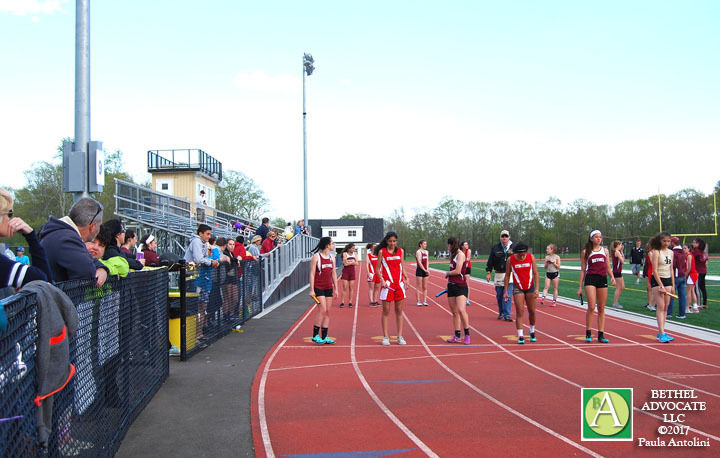 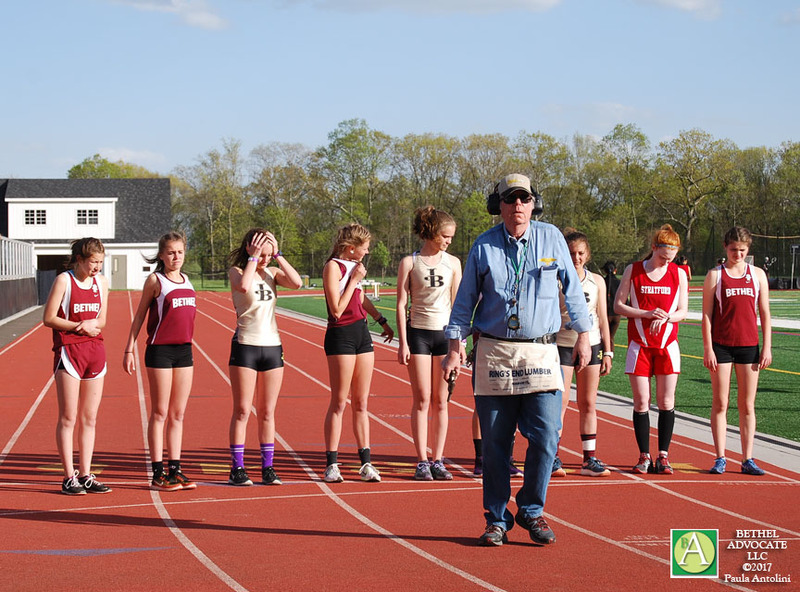 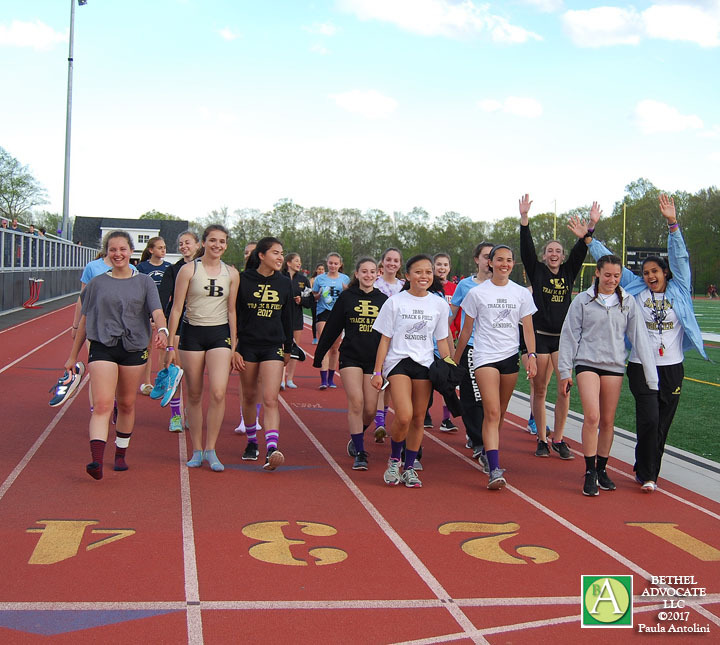 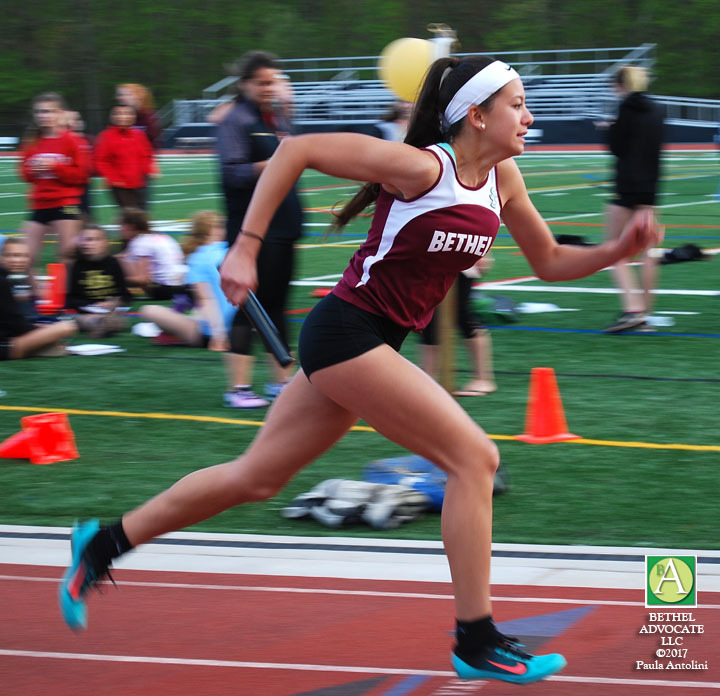 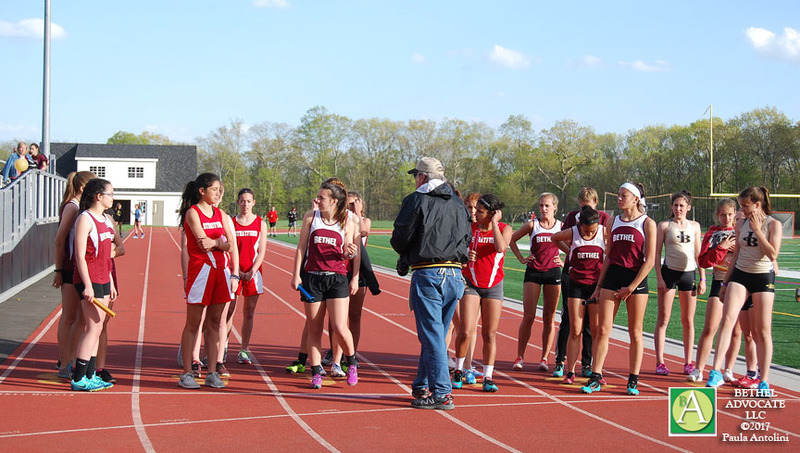 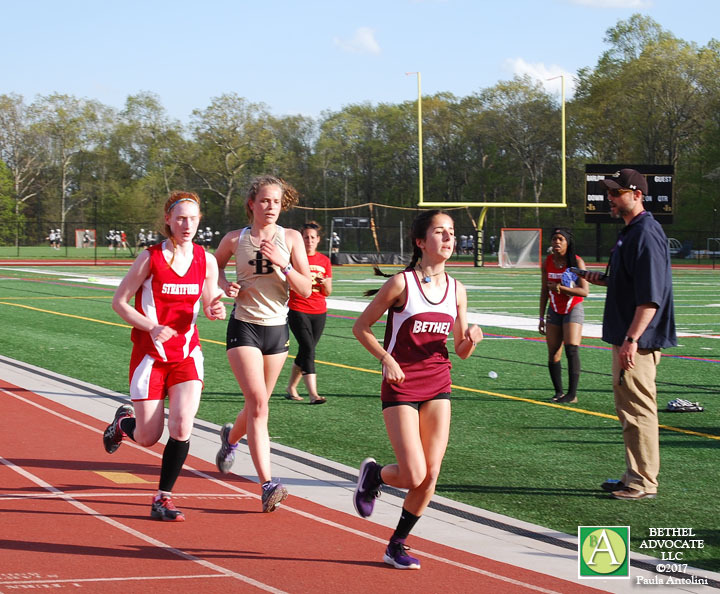 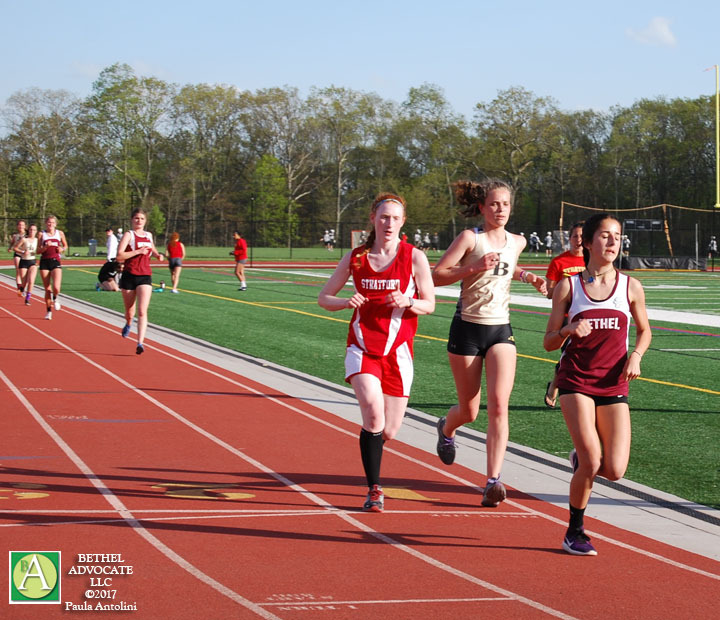 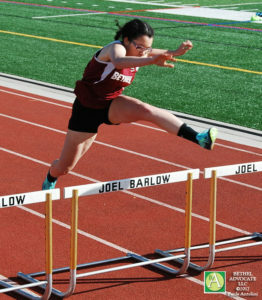 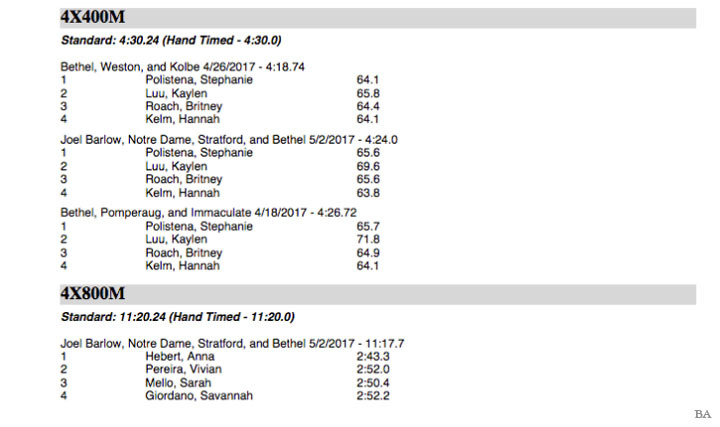 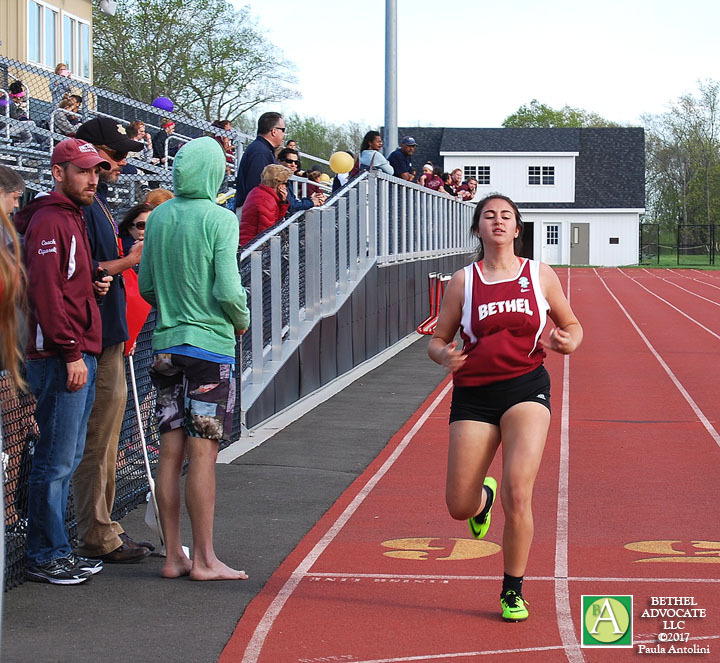 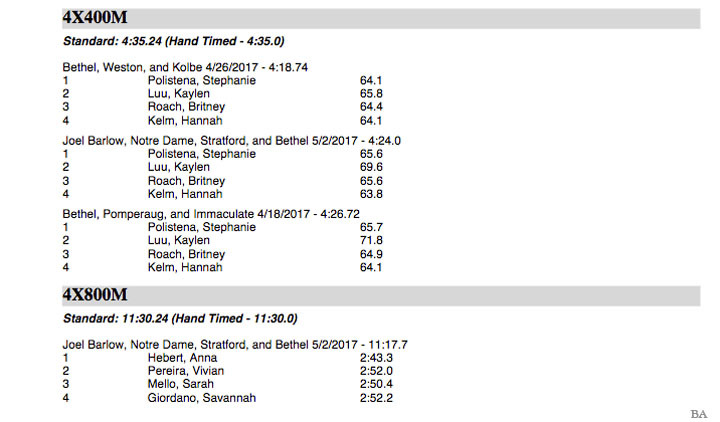 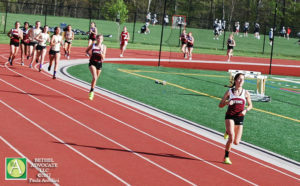 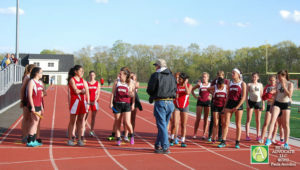 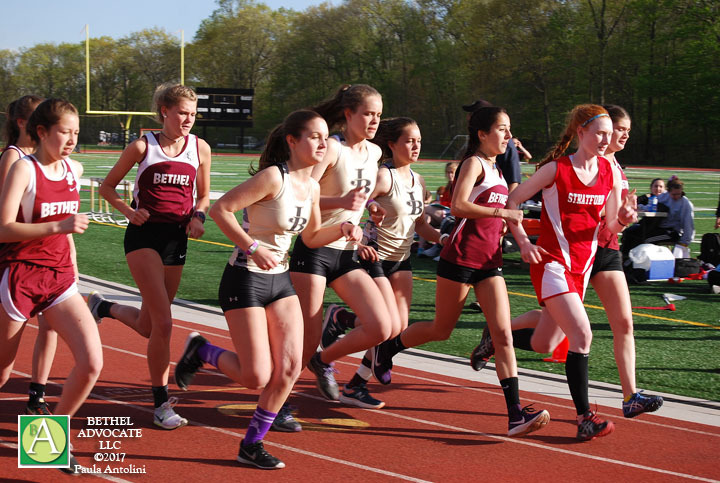 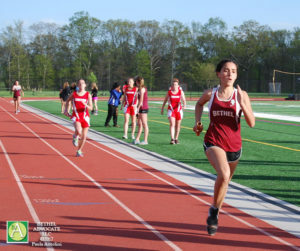 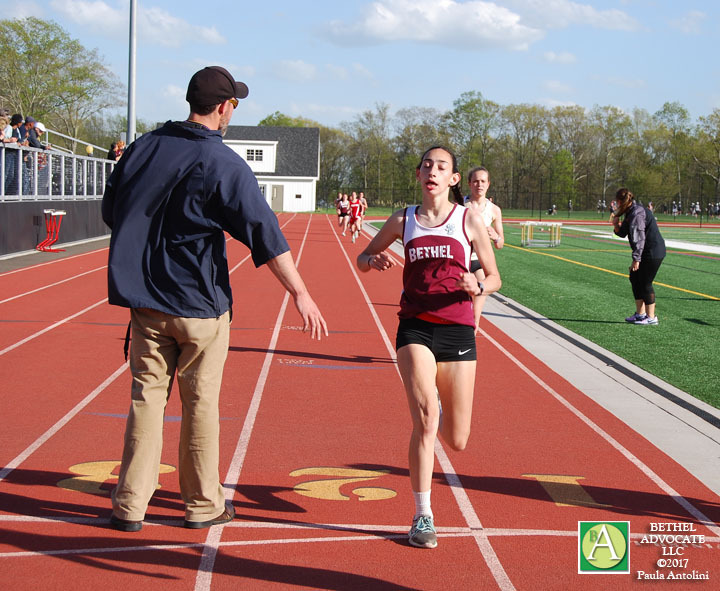 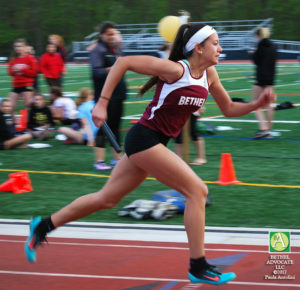 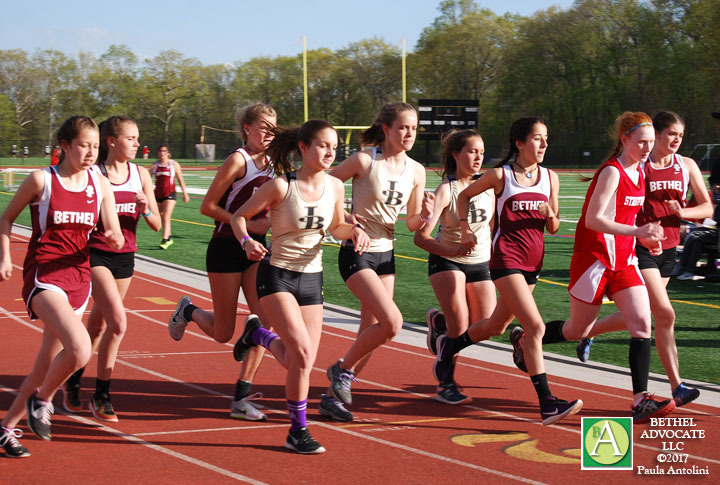 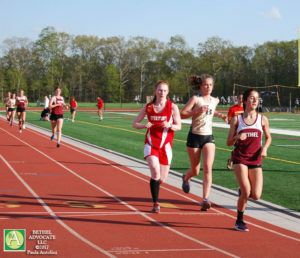 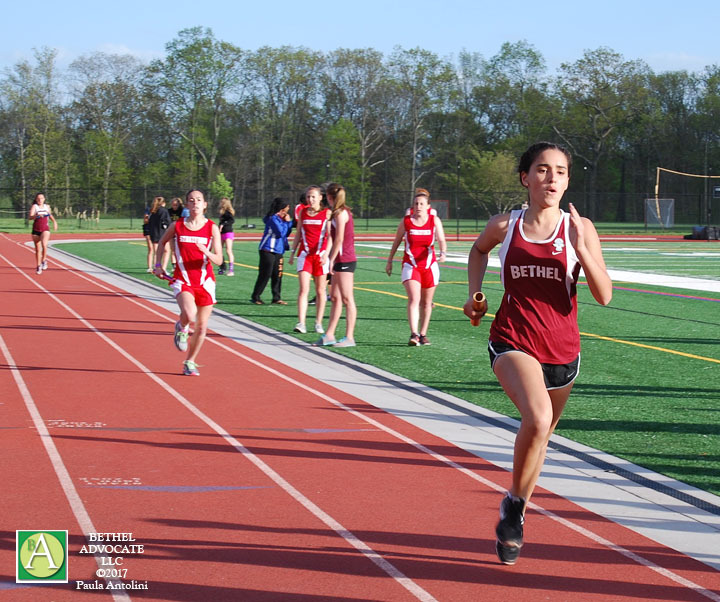 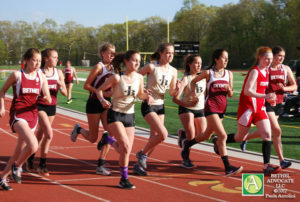 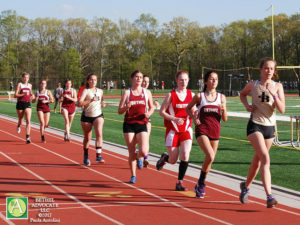 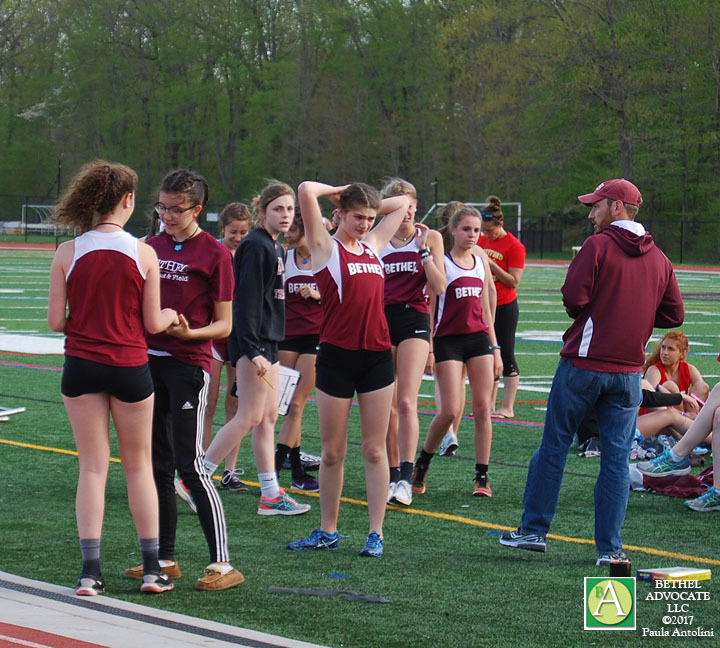 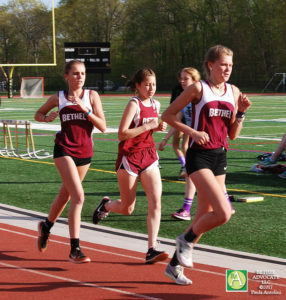 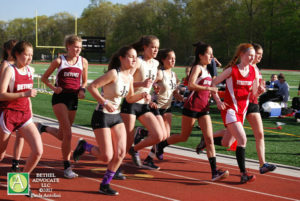 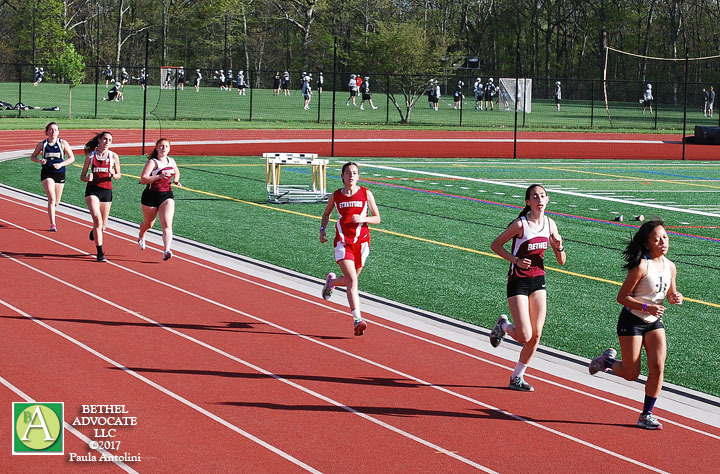 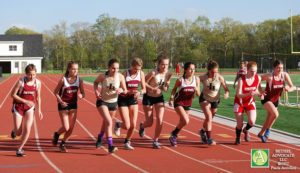 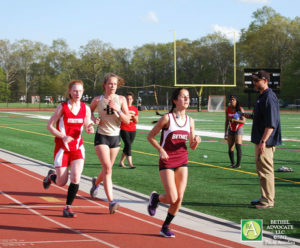 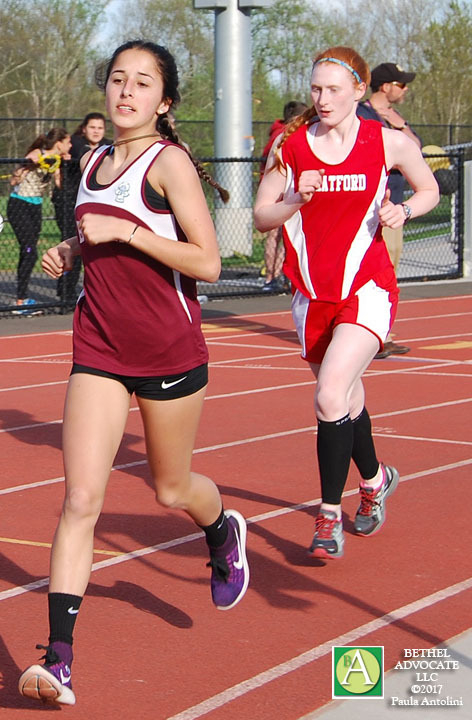 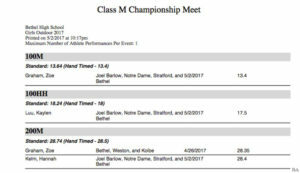 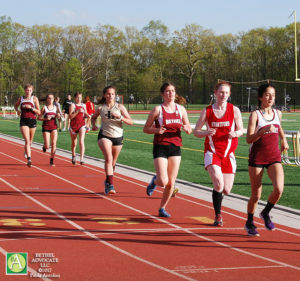 The Bethel High School Girls Track Team meet took place on Tuesday, May 2nd, at Barlow High School, in Redding, CT, with Bethel competing against Joel Barlow High School, Notre Dame High School (Fairfield, CT) and Stratford High School (Stratford, CT). 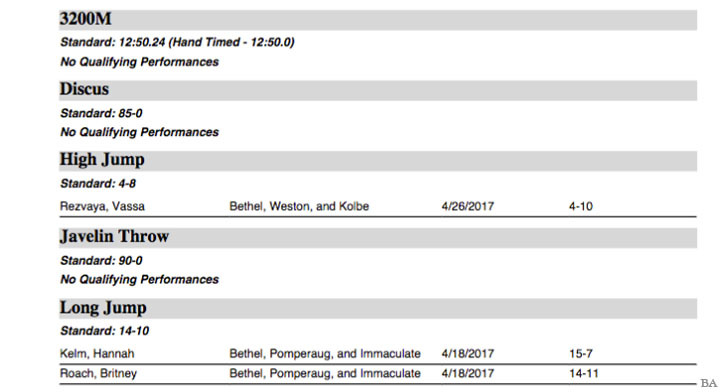 Bethel won all three competitions. 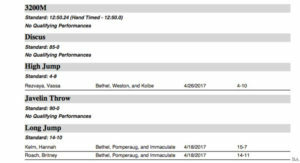 Congratulations Bethel! 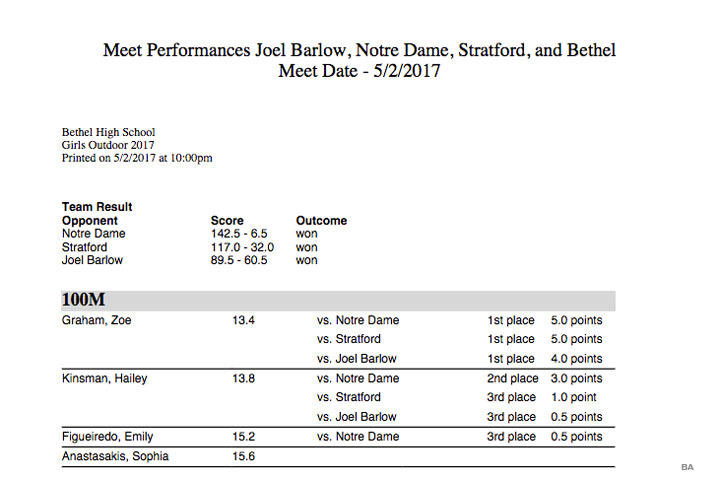 Below you will find the results from today’s meet. 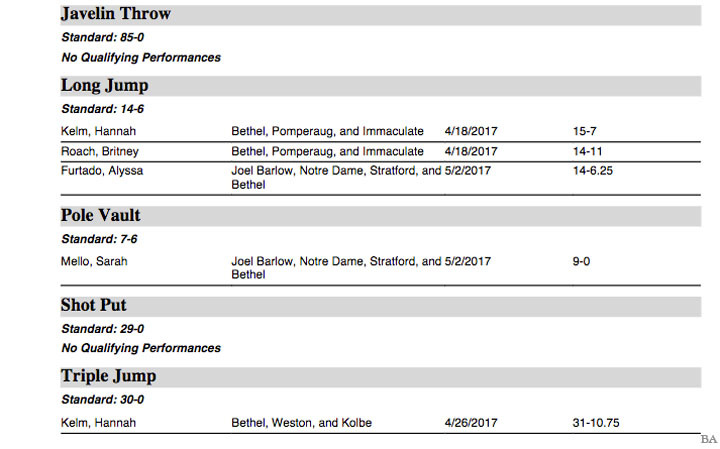 Bethel was able to win all three competitions and move our season record to 5-2. 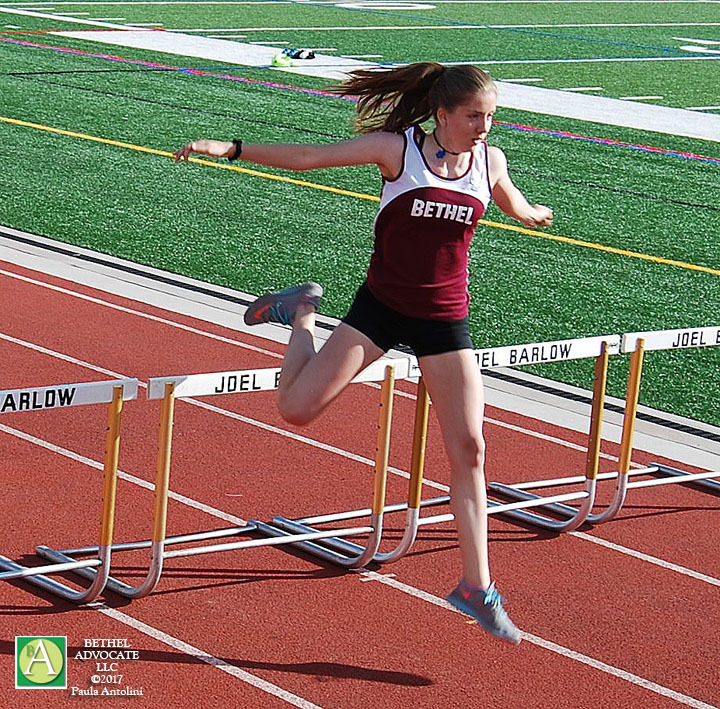 Bethel performed well today and had 31 season PRs. 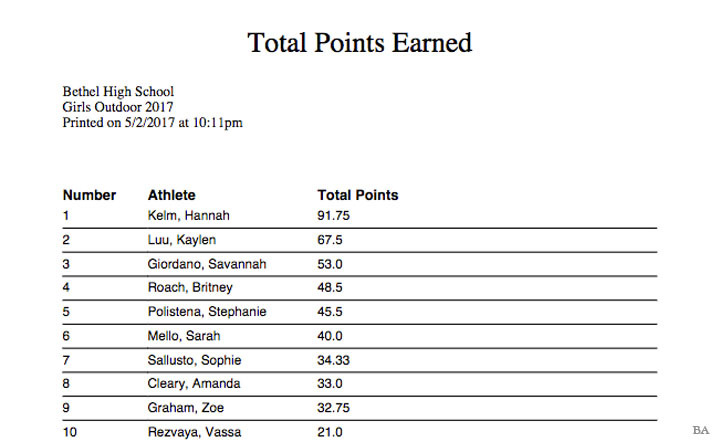 Sarah Mello improving her Pole Vault school record to 9-0. 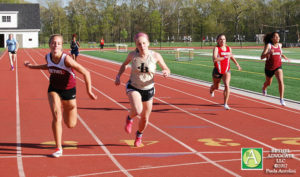 Zoe Graham qualifying for the SWCs and States in the 100m with a time of 13.4. 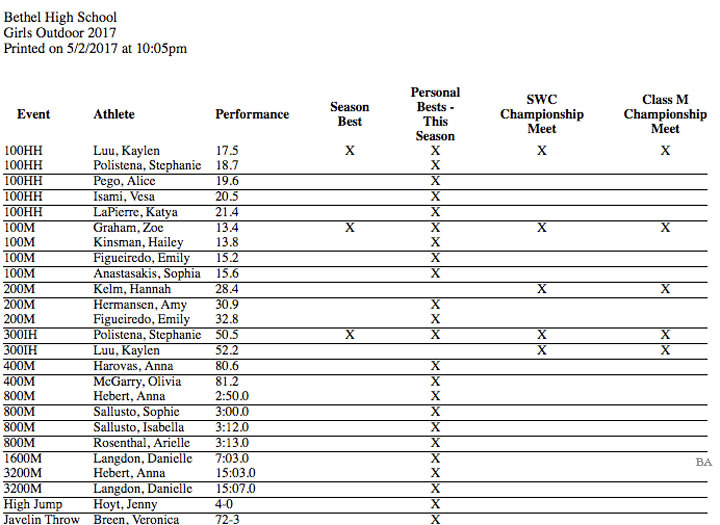 Alyssa Furtado qualifying for the SWCs in the Long Jump with at performance of 14-6.25. 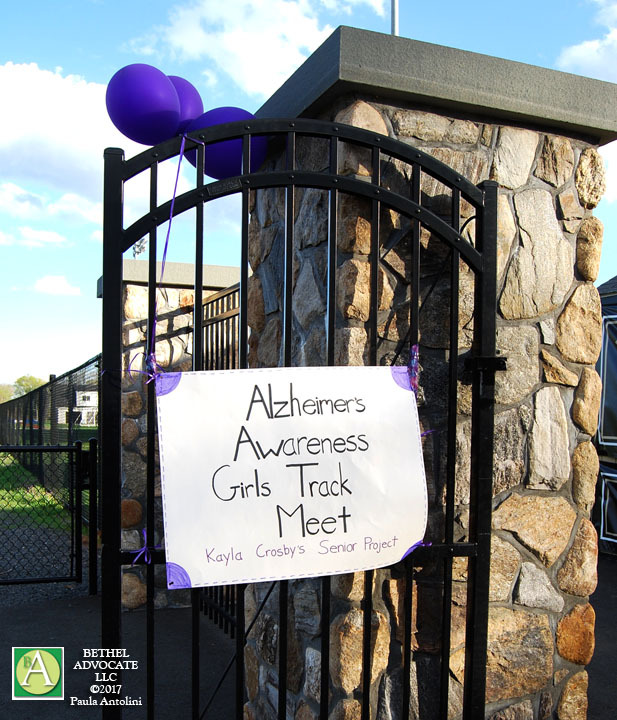 Two photos (above and below): Joel Barlow students walk the track after the meet, and athletes and onlookers joined behind, in honor of Alzheimer’s Awareness, and they also had a sign on front gate. 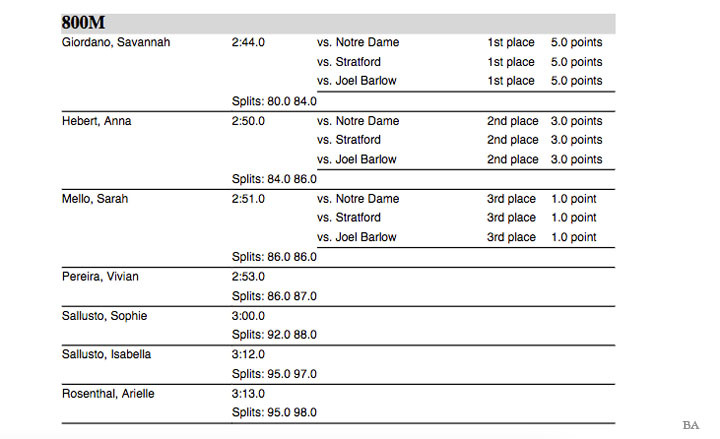 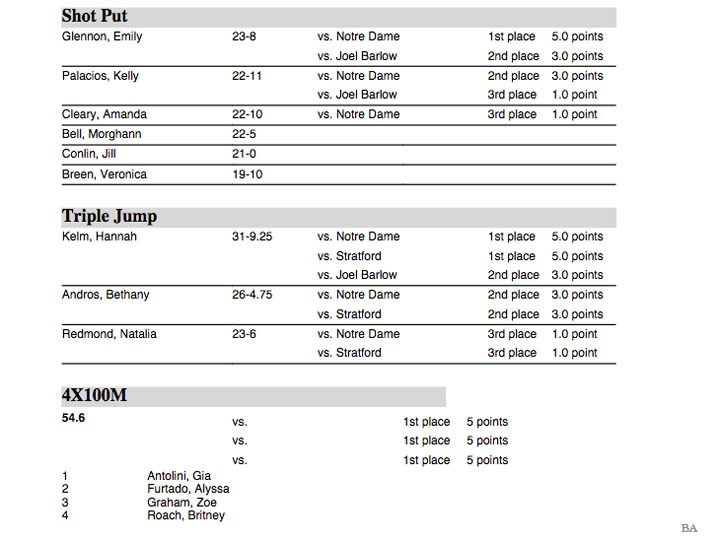 Below you will find the meet accomplishments for today’s meet. 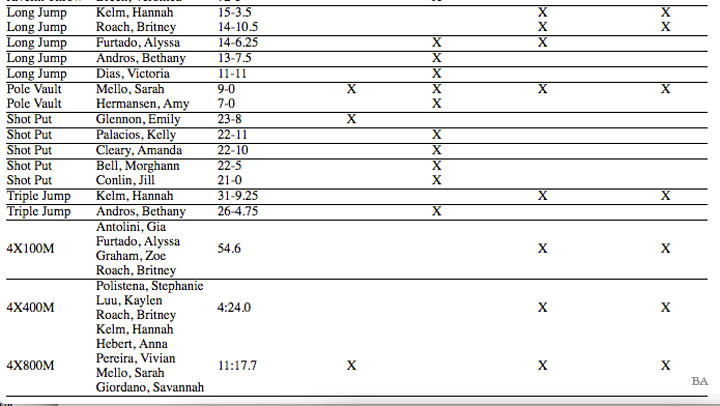 Please take note of the number of seasonal PRs. 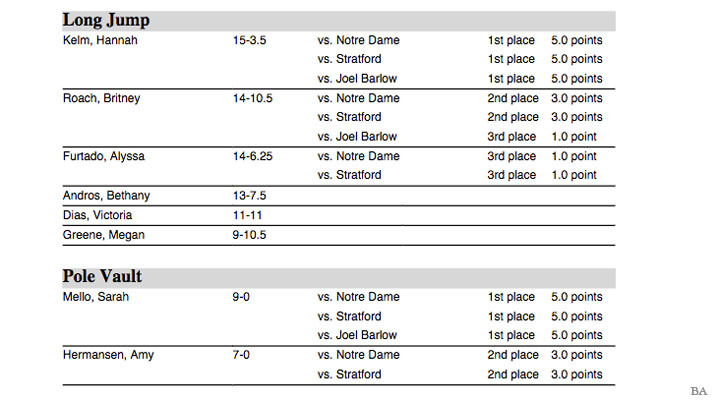 We also continue to add to our list of post-season qualifiers. 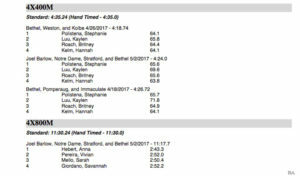 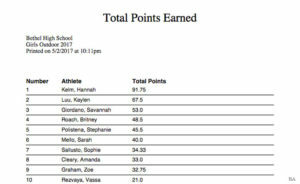 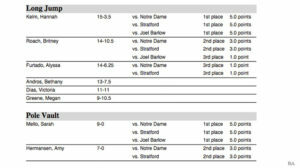 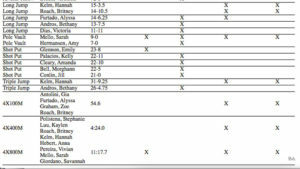 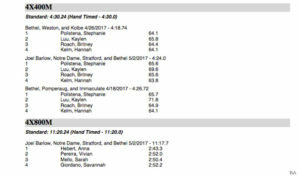 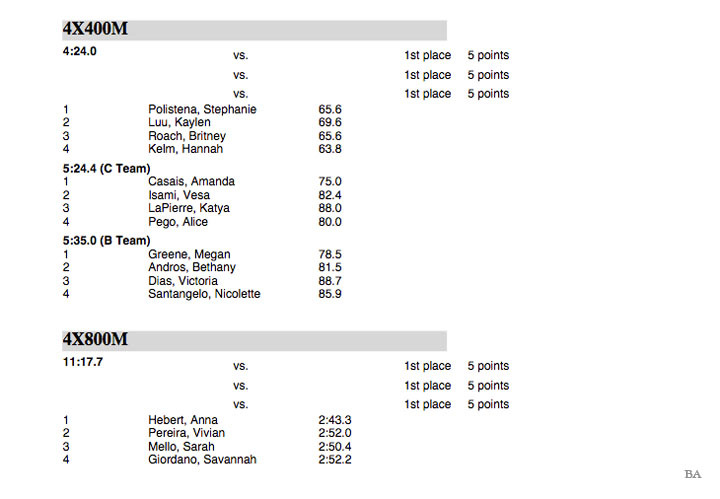 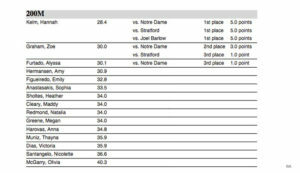 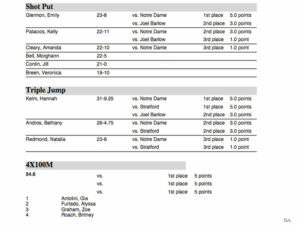 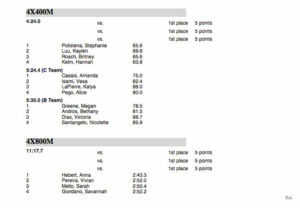 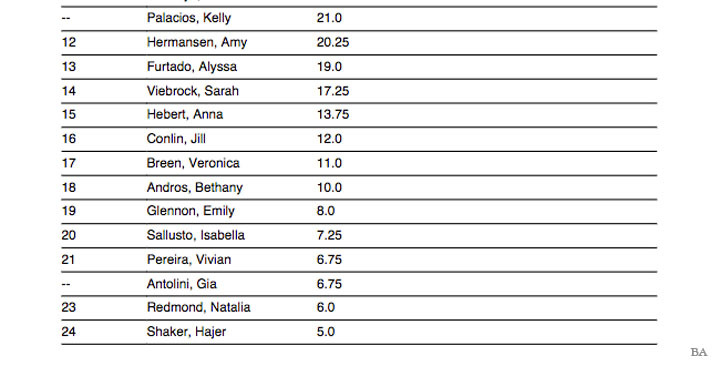 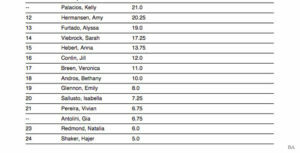 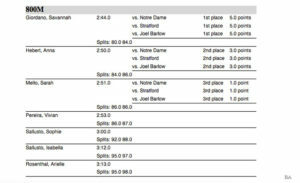 Below you will find the varsity point totals through three meets. 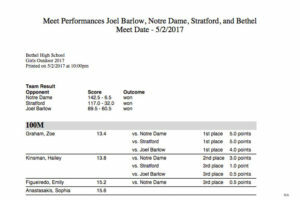 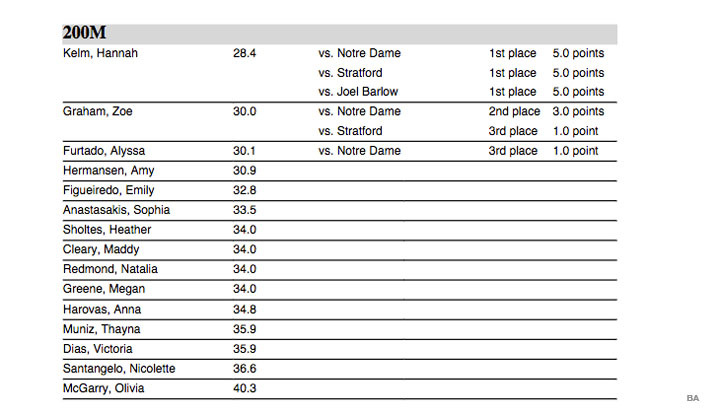 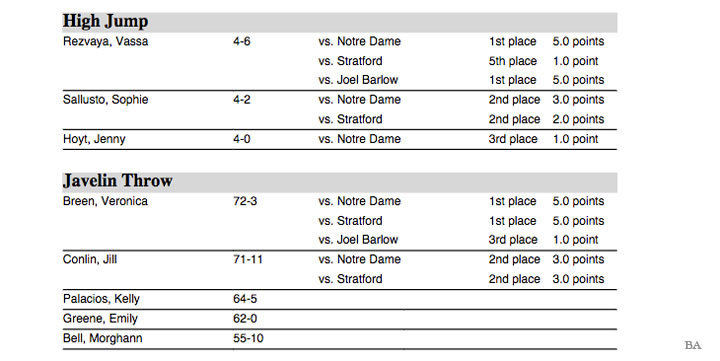 As we discussed in our post-meet conversation, our most competitive meets are still ahead of us. 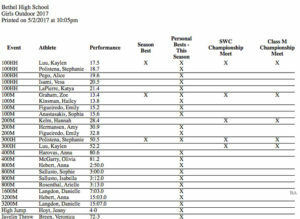 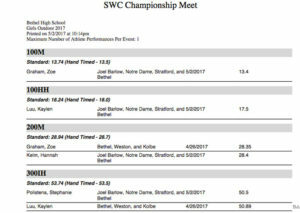 Below you will find the SWC qualifiers at this point in the season. 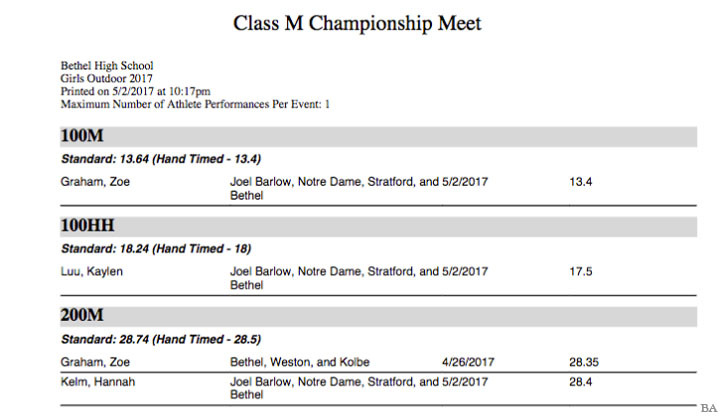 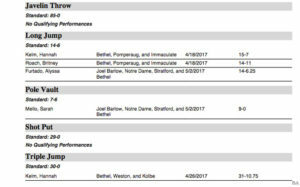 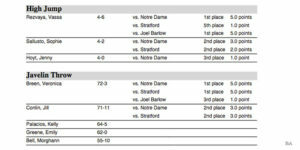 Below you will find the Class M State Championship qualifiers at this point in the season.